Rabbi Ike Sultan is a musmach of Rabbi Isaac Elchanan Theological Seminary and a fellow of the Wexner Kollel Elyon at Yeshiva University. 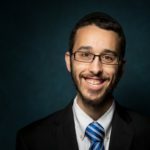 As the founder and chief editor of Halachipedia.com, a resource of English Halacha online, he loves to research and learn Halacha. He lives with his wife and two sons in Washington Heights.